The Mandarin Oriental Soho is a simply exquisite wedding venue. I especially love the elegantly appointed hotel rooms at the Mandarin Oriental. The light is beautiful, the decor modern and streamlined, and the entire space is calm and soothing - a plus on a busy wedding day! I love that in any situation there are dozens of ways to see it, shoot it, light it, compose it, and process it. 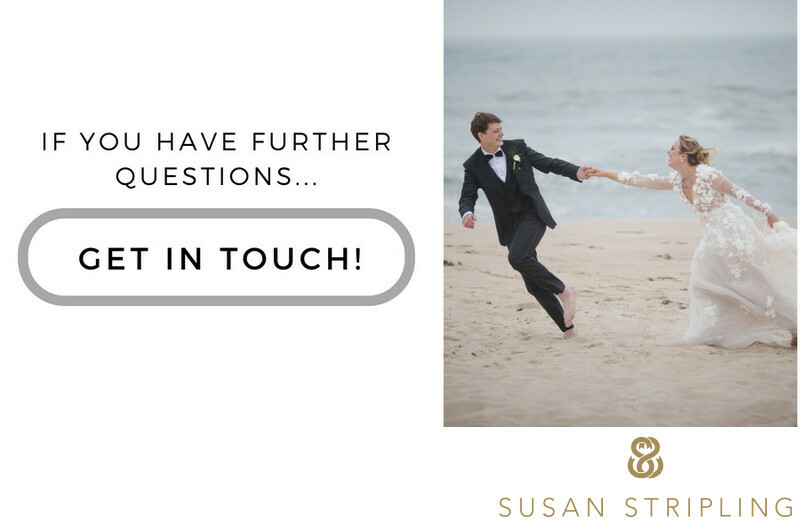 I tend to favor a clean, crisp approach to my wedding day photography and a clear, natural way of processing the files. I am also drawn to seeing a scene in a new, graphically interesting way. 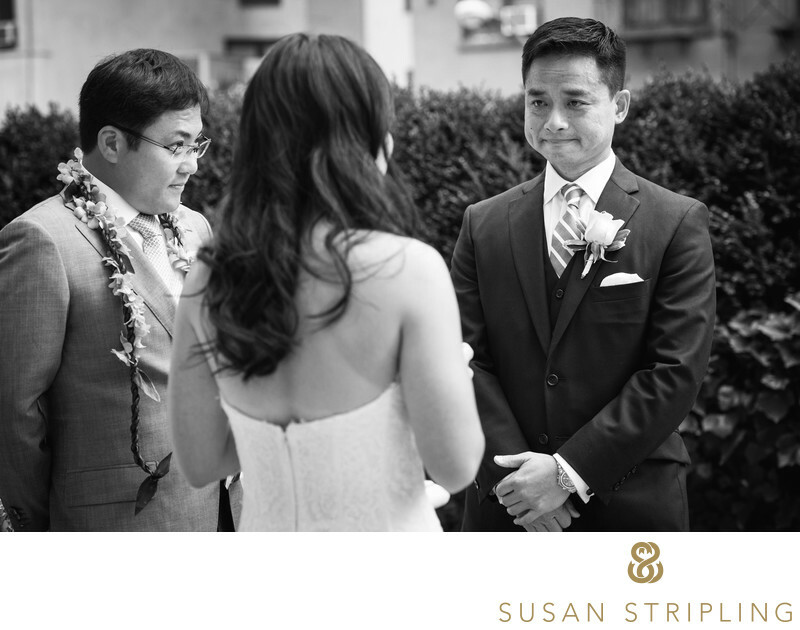 At this 2013 wedding, the bride was getting her hair and makeup done in her suite. 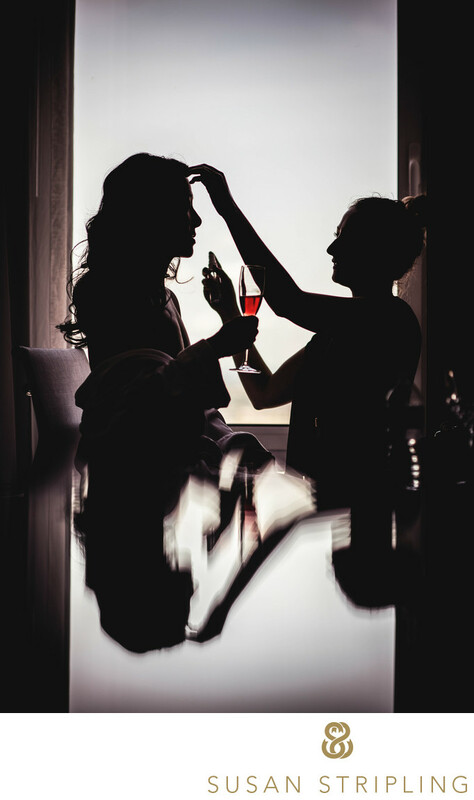 The makeup artist had seated her near a window and the bride was drinking a cocktail while getting ready for her wedding ceremony. I immediately saw that there was a really interesting compositional choice if I included the bride, makeup artist, the dark space around the window, and the reflection in the table. I love that even though the image is in color it’s practically black and white due to the stark contrast - but the drink adds a delightful pop of natural color! Keywords: Mandarin Oriental Soho (6), New York City (207). 1/1600; f/2.2; ISO 100; 85.0 mm.